It is an odd aspect of gardening that you sometimes see plants you have struggled to grow in your own garden growing like weeds on your travels. Lavatera arborea grows like a weed on the coast here and yet I have often struggled to grow it in my inland, UK garden. This is because it is not very cold hardy and along the coast, where frosts are rare or slight, it thrives. The plain green form doesn’t have a lot going for it because it is a large (usually more than 2m) shrub with small flowers but the variegated form (which comes partially true from seed) is pretty enough to encourage me to try it every now and then. It is remarkable for making great, stout, multi-branched shrubs with soft, rounded foliage that can withstand salt spray and strong gales. It usually flowers in its second or third year and is short lived. The flowers can be produced at almost any time of year once the plants are mature as these photos, taken on Christmas Day show. It is found throughout the west of Europe but never far from the coast. 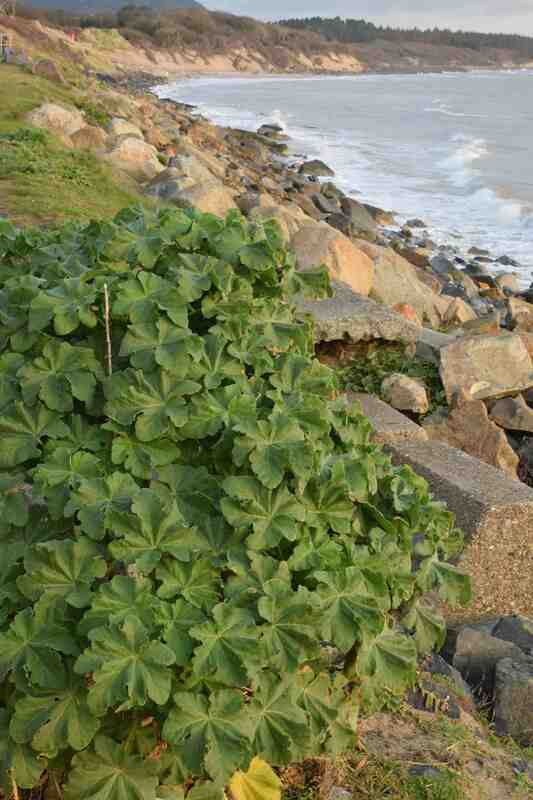 This plant was growing just metres from the sea. 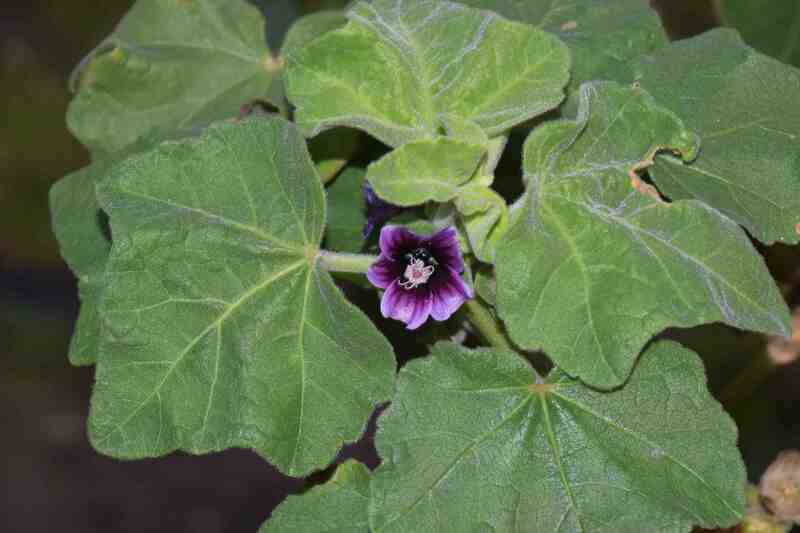 Like many mallows it has medicinal uses and apparently the soft leaves can be used as toilet paper. I can’t confirm that! For the pedants among you this plant is more properly called Malva arborea or Malva eriocalyx. It is thought to be native to the west coasts of England and Wales and introduced to other areas of the UK and native to SE Ireland. Wikipedia says it was planted by lighthouse keepers for its medicinal uses but also, perhaps, for when they got caught short! always handy to have around . and your photo looks lovely I love the sea ..
Coastal plants are what make a nice coastal garden. Even here in the tropics, it’s not easy to maintain a coastal garden, as strong winds quickly kill plants, not to speak of the saline tolerance. I’m trying to keep one here, but it’s been a lot of trial and error. I guess your equivalent is sea grape. when i was in your part of the world I bought a dish made in the shape of a sea grape leaf – it is such a lovely foliage plant – shame it can’t be grown here. Exactly, the Sea Grape Plant (Coccoloba uvifera) is amazing. But one may only be able to see it in a lifetime as a shrub. They take a very long time to grow as in reality, they are actually trees. I’ve seen at least 150-200 year old Sea Grape Plant trees. They are extremely slow growers and the seedling requires a lot of care to make it into maturity. One is better off buying the established young shrub at a nursery.